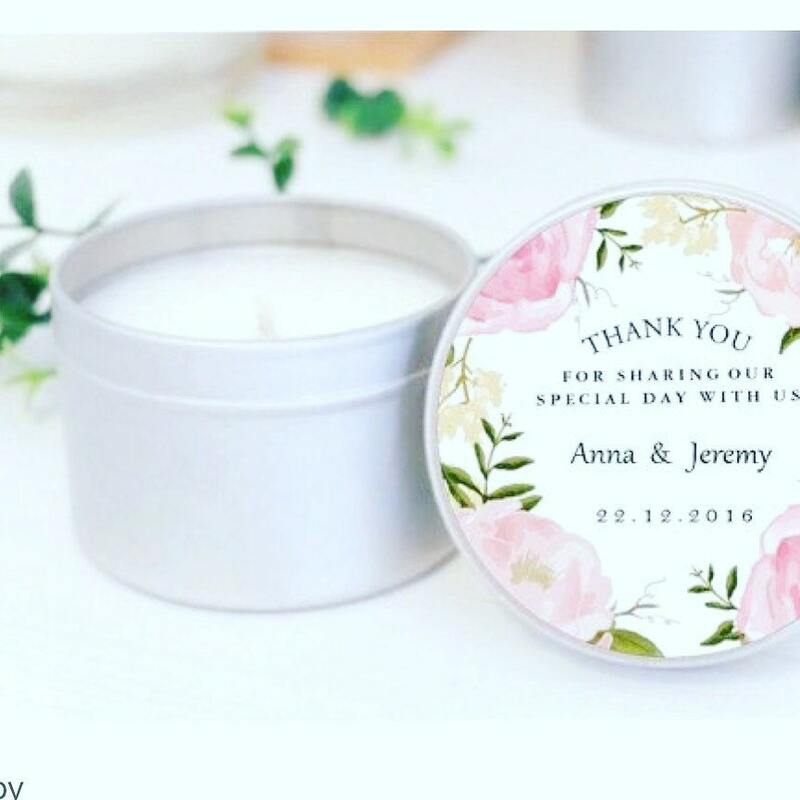 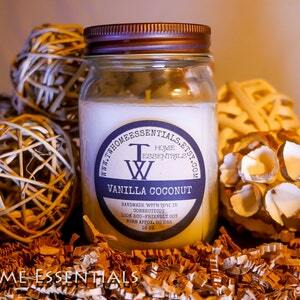 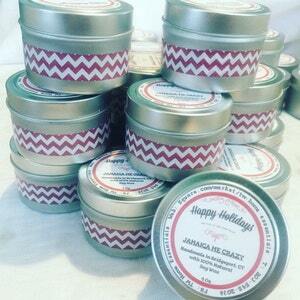 Brighten your guest’s day with a creative bridal, baby or birthday shower candle tin favor they are sure to love. 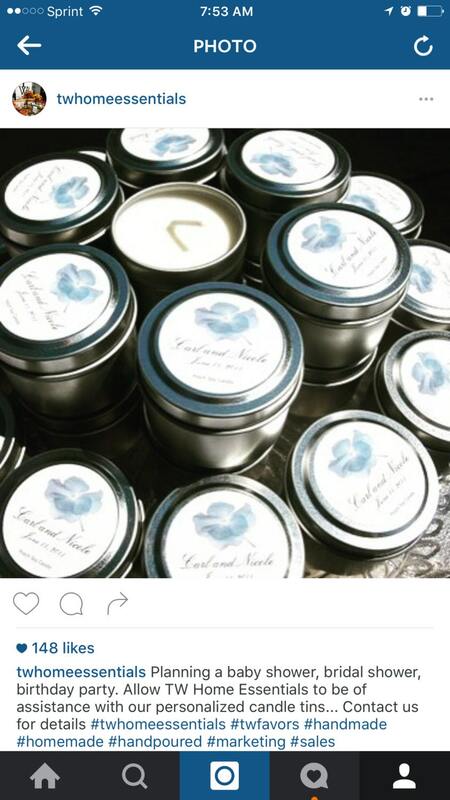 A light scent and personalization options to match every theme make your shower favor idea a must for your shower. 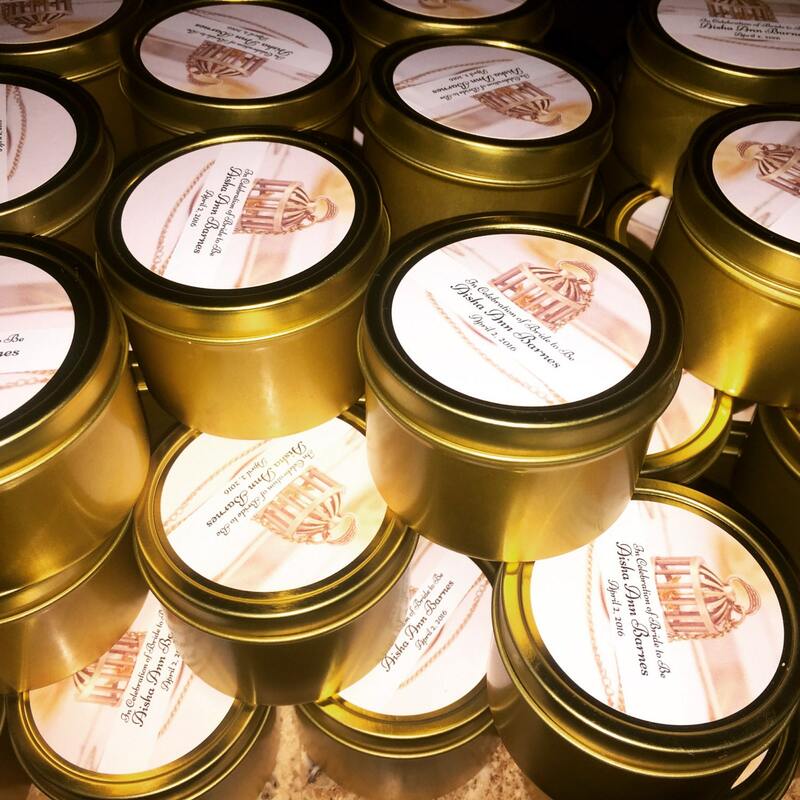 Each creative candle tin shower favor will arrive in an elegant organza bag with their lid already personalized to match your shower theme – surprise your guests by putting one at each place setting or place them in pretty baskets at the center of each table. 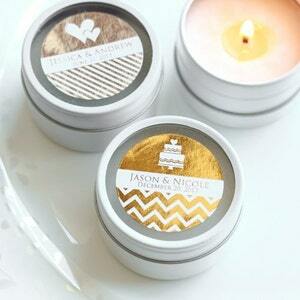 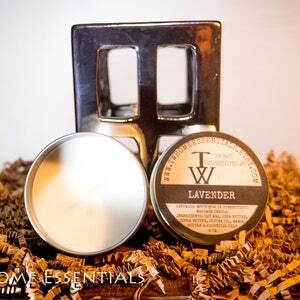 You can’t go wrong with these creative shower candle tin favors. 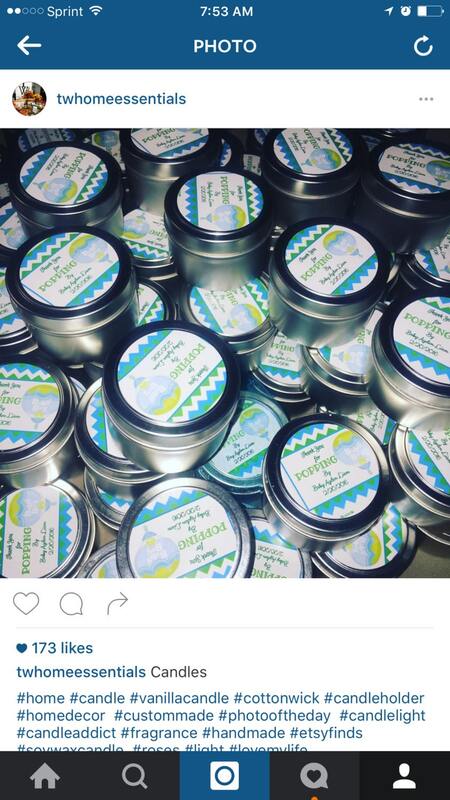 Make your party stand out from the rest and order one for each guest today!